SUBTLE BIG DIFFERENCE These teeth looked short for his smile, they were chipped and fractured. We lengthened them with bonded composite. Took several hours and not too expensive for a better smile. Just good old fashing bonded artwork with a number of colors . 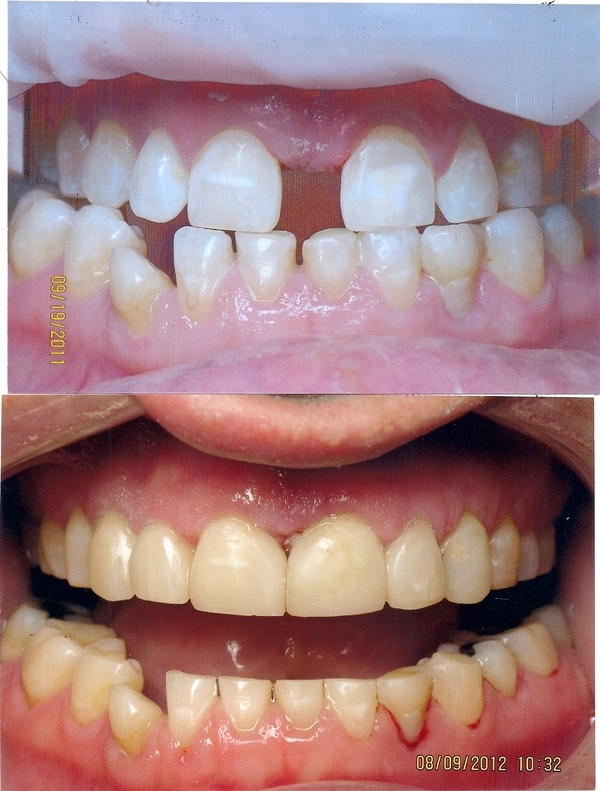 First we moved the two front teeth closer with orthodontics and then closed spaces with bonding composite. It will last years. This Patient was embarrassed by large space. He felt insecure about his smile. We took him down the hall to Dr. Conrad Sack and he magically moved them near each other in four or five months. We closed the space and frankly I got tears in my eyes for this young man, before his mom did! NOT AS TRAUMATIC TO TEETH AS FULL CROWNS AND EVEN VENEERS AND LESS EXPENSIVE.